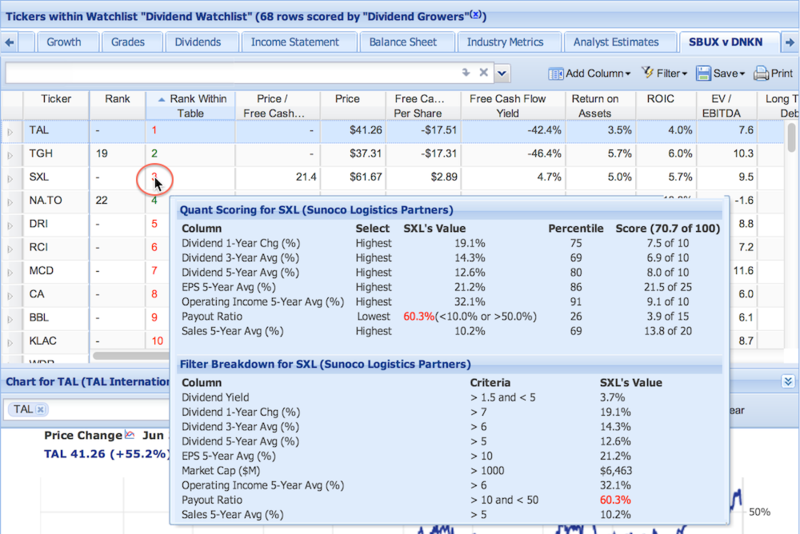 You can rank the stocks in your watchlist according to your own weighted criteria by applying a ranked screener to the portfolio. First, create a ranked screener with your ranking weighted criteria. Then, right-click the ranked screener in the Navigation panel and select ‘Apply Ranked Screener to Watchlist,’ and select one of your watchlists. 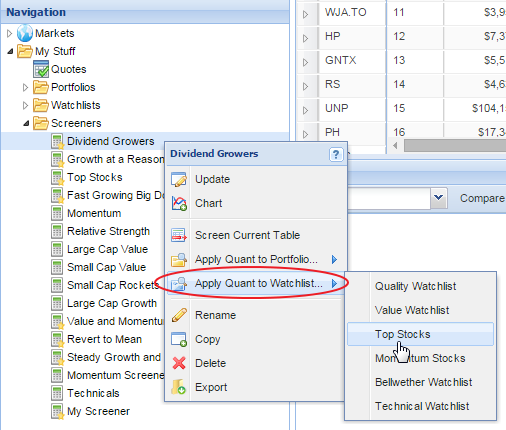 This will load your selected watchlist in the Table with two rank columns added just to the left of the Ticker column. The first ‘Rank’ column will show the rank of the stocks in the watchlist compared to all the stocks in the North American exchanges. The second ‘Rank Within Table’ column will show the stocks’ ranking within the watchlist. If the rank is green, it means the stock also made rank with all the other stocks in the North American exchanges. If the rank is red, it means it failed one of the filter criteria from the ranked screener. 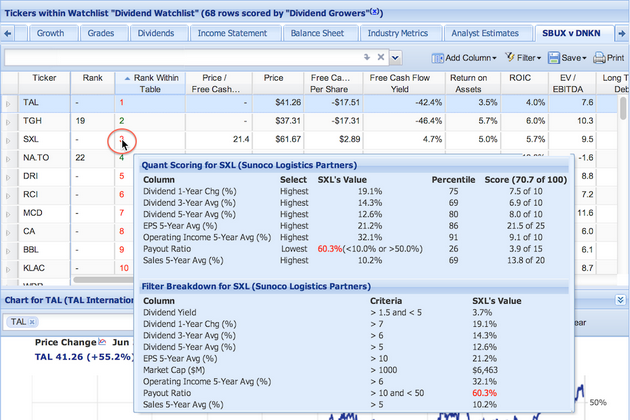 Mouseover the rank column to see more information about the Quant score and filter breakdown of that stock.